Bring family and friends to the elegant Riverside Restaurant for a traditional Easter Sunday Lunch on Sunday 8th April. £15.00 per Child under 10 years of age. 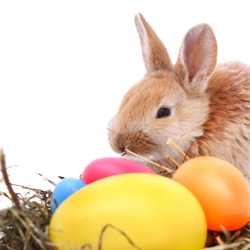 Click here to view / download our Easter Sunday Lunch Menu. Stay over on this offer and enjoy Easter lunch for two at the special rate of £40! Check out our fabulous Spa packages and great mid week breaks and spa offers on the Cascades Spa pages. For further information please call our reservations department (0)1539 531133.